Instead of following the extreme detox plans that limit almost every food except veg and fruits while at the same time pulling you into a nasty detox drink each day, the best detox diet plan should be safe and more sensible. In fact, it shouldn’t leave you short of nutrients if you stick to it. Fruits and fruit juice: You can include any fruit in your detox diet plan including, frozen, dried, fresh or canned in natural fruit juice. This should include oranges, apples, strawberries, satsumas, nectarines, peaches, melons, raisins, kiwi fruit, raspberries etc. 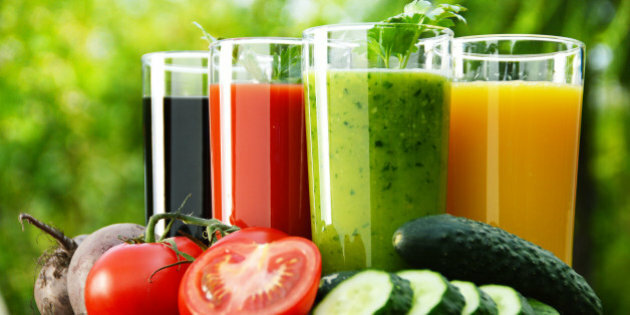 For fruit juices, you can either have homemade ones or smoothies from fresh fruit or take ready-made ones. Ensure that ready-made ones are pure and unsweetened. Vegetables: You can include any vegetable be it frozen, fresh or canned without any added salt. Vegetables to include are carrots, turnip, swede, sprouts, peppers, mushrooms, sweetcorn, tomatoes, spring onions, cucumber leeks, broccoli etc. Beans and lentils: You should eat any beans, including those dried or canned in water. These are the beans you should include in your detox diet plan: green lentils, brown lentils, butter, red kidney, haricot, pinto, cannellini, black eye, and red lentils. Banana porridge: Take porridge prepared with water and banana, raisins, and natural yogurt as toppings. You can sweeten it with honey. Fruit smoothie: Prepare fruit smoothie made with frozen or fresh fruit. Also, you can take fruit smoothie from fresh fruits, yogurt and honey to sweeten it. Muesli and yogurt: Home-made muesli from nuts, seeds, oats, and dried fruits served with natural yogurt will be perfect for breakfast. Oatcakes and vegetable soup: Include a large bowl of supermarket fresh or home-made lentil or vegetable soup. Sweetcorn Jacket potato and tuna: Take jacket potato with tuna toppings mixed with natural yogurt and sweetcorn. You can serve this with salad. Rice cakes with Mediterranean salad: You should consider rice cakes served with fresh basil, avocado, pepper, rocket, black pepper, and tomatoes. Also, take a handful of unsalted nuts. Chinese vegetable stir fry: Stir fry is an assortment of vegetables including spring onions, bamboo shoots, bok choi, mushrooms, and bean sprouts in a small amount of olive oil with ginger and garlic. Prawns and tuna with noodles: Fry a few vegetables, such as mushrooms, onions, courgette, leeks, and peppers in a little olive oil. Add a handful of prawns when lightly browned. Let them cook for a few minutes before adding canned tomatoes, tomato puree, and tuna canned in water. Simmer until the sauce thickens, then serve with rice noodles. Coming up with your own detox diet plan can be daunting, particularly if you have a chronic health condition, such as diabetes, kidney disease , or an eating disorder. This is why it’s important to consult your doctor before changing your diet. If you don’t have any of these health complications, coming up with your detox diet plan will be seamless, but either way, consulting your doctor isn’t harmful. « What is Detox and How it Works? Can Detox Make You Gain Weight? What is Detox and How it Works? colebradley is using Hatena Blog. Would you like to try it too?